ARTBOOK | D.A.P. is a distributor of books on modern and contemporary art, photography and design. In addition, we selectively publish photography and art books under the D.A.P. imprint, as well as groundbreaking books about architecture, design, and the environment under the Metropolis Books imprint. 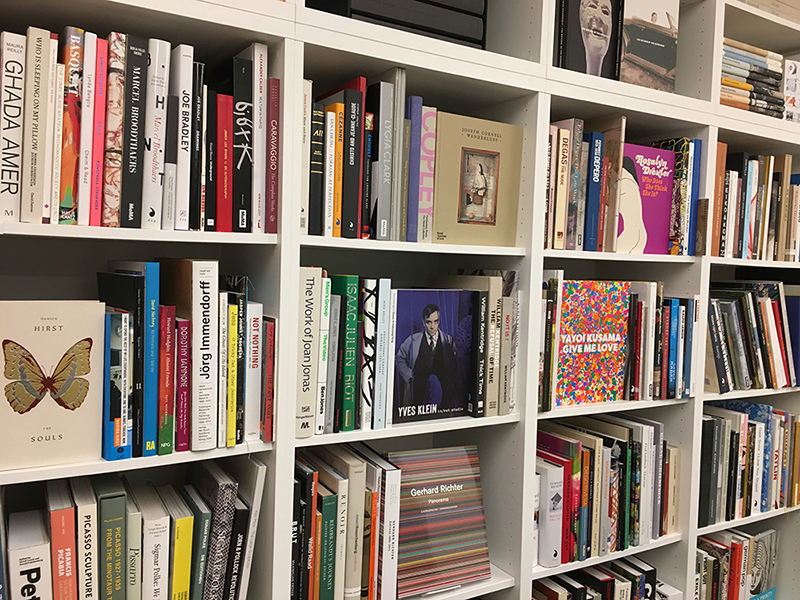 Artbook also manages several museum bookstores including Artbook @ MoMA PS1, Artbook @ Walker Art Center, and Artbook @ Hauser & Wirth Los Angeles. As an intern at D.A.P. you will be exposed to both the contemporary art, architecture, and design worlds and an intimate, well-rounded view of the publishing industry. SPRING INTERNSHIPS: Apply by December 15 for internship running January to April. SUMMER INTERNSHIPS: Apply by April 15 for internship running from May to August. FALL INTERNSHIPS: Apply by August 15 for internship running from September to December. Interns must make a 3-month commitment of at least 2 days per week. Positions are available for academic credit and interns will receive complimentary art books. Additionally, interns will be invited to attend field trips at art/publishing institutions in the New York area. Intern will assist website editor with photography, imaging and content gathering for artbook.com. He or she will also help produce and schedule social media campaigns around events, new releases, art fairs and related press. Candidate must have skill as a photographer, be fluent in Photoshop, and be able to produce videos and animated files for social media. Candidate should have experience with Twitter, Facebook, Instagram (including Instagram Stories) and HTML. Intern will assist the catalog department in photographing books, digital image processing and archiving, and uploading product images to artbook.com, amazon, and other vendors. Candidate must possess intermediate or higher photography skills and be fluent in Adobe Photoshop. Experience with Dropbox and FTP clients is helpful. For candidates interested in the Photography Internship, please include a portfolio and brief cover letter statement with your resume. Please submit resume and cover letter to frontoffice@dapinc.com by August 17th for consideration. Please write "Internship" in the subject heading. There are no full- or part-time positions at this time. Check back for updates!